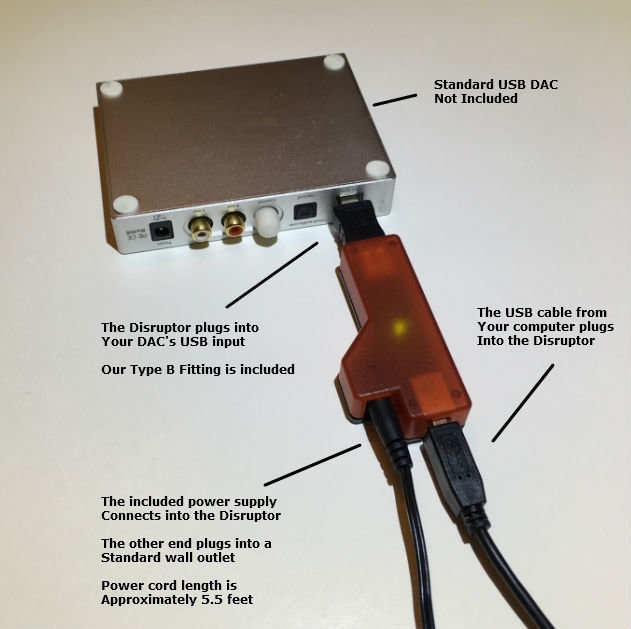 We have tested the USB Disruptor here at TTVJAudio and find their claims to be true. We are impressed! 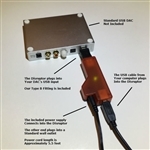 Anywhere a USB cable is being used for audio you'll get immediate audible improvements with the patent pending Disruptor circuit. The Results: The music actually sounds different. You'll hear the spaces between notes. Instruments sound like they're in the room. USB Disruptor will take your digital system to new heights. Eliminates that harsh digital sound. High resolution audio tracks sound as intended: crystal clear and three dimensional. Our innovative design optimizes USB DAC's by improving the digital connection to the computer. Replaces dirty computer power link with external clean power source. 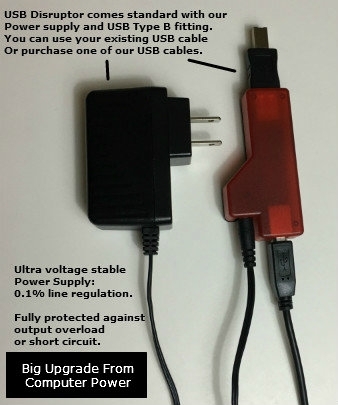 Cuts out negative influence of dirty computer USB power. Cymbals and violins render perfectly. I've been using the Disruptor with the Meridian Explorer 2 for over two years and it has noticeably added to the result I get. I never consider doing without the Disruptor. I recently purchased the USB Disruptor. Since installing it between my MacBook Pro and PS Audio Nuwave DAC, I must say that my computer audio is clearer, more palpable, fuller, layered (3 dimensional), with a deeper soundstage. My system: MacBook Pro -Wireworld Starlight 2-PS Audio Nuwave DAC- NAD C375BEE -Chord Odyssey 2 speaker cables-Klipsch RF7II loudspeakers. I came across information about this device online (somewhere) and then read as much as I could find. 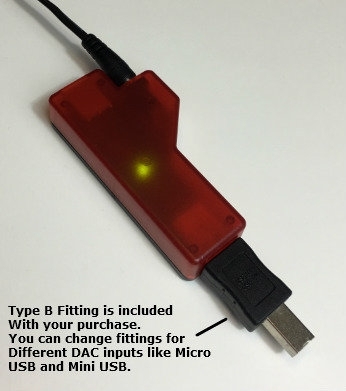 I was intrigued with how some folks described the affect this device has on the sound of USB DACS. My music is quieter, more detailed and has taken on more reality. This is one of the few reviews I have done after 16 years as an audiophile. But the effect of the USB Disruptor on my computer audio pushed me to post a small review. For the reasonable price of admission, and with a 30 day return policy, your only gamble is the cost of return shipping. You may want to try this device if computer audio is your thing. I use the Wireworld top of the line ethernet cable, $550 per half-meter, then following by my Roon Nucleus, the USB disruptor to my Schiit Yaggy DAC. Not to go on about my system, but if the USB disruptor wasn't the ultimate in sound, it would not be in my system. I actually use my disruptor to power the external drive that feeds my digital player. I figured I'd have clean power the furthest upstream that I could. I got improvement in this configuration, so I'm staying with it. If your external drive is USB powered, this is a good application.